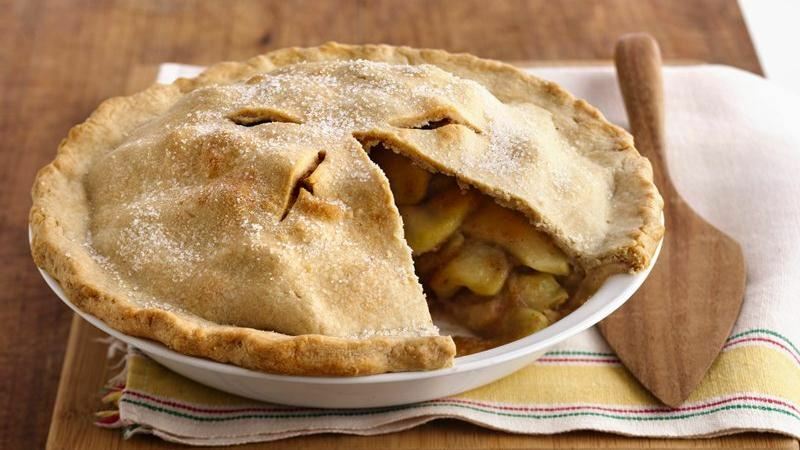 Become more fond of pie. Navigating that space between sleeping and being fully awake is often a very personal thing. I admire those who go immediately to the meditation cushion or head out to the running trail. I smiled this morning when my writer friend posted on her blog about the important role coffee plays in her own routine. 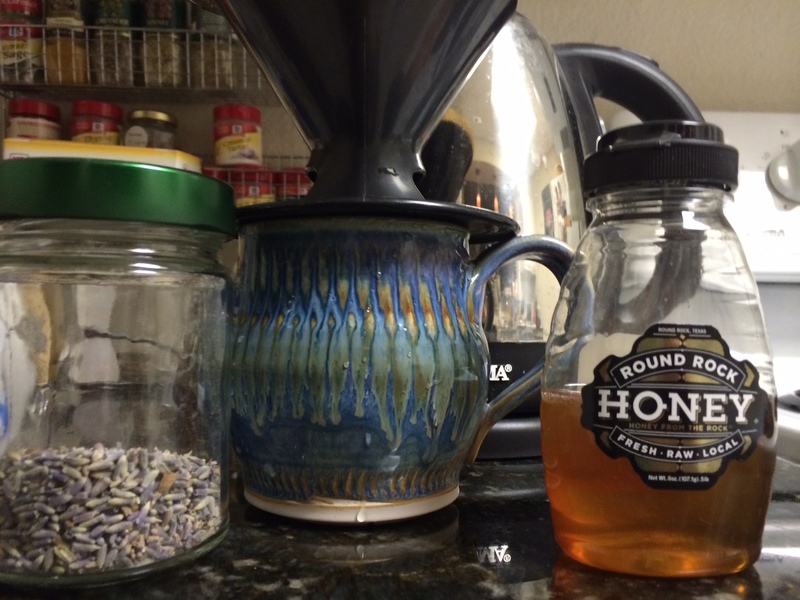 I’m like that myself, even to the point of sometimes hurrying off to bed in anticipation of that wonderful cup of lavender-flavored coffee sweetened with honey that will greet me the next morning! Dr. Meg Fitzellen, the main character in my current novel-in-progress (THE FOURTH TIME), shares this predilection. In the passage below, she is waking up on her first morning back at her archaeology field site in Belize. During the first weekend of EAST Austin Studio Tour, 2014 edition, I had some wonderful, insightful conversations with my guests about my paintings and about art in general. It was a very rewarding experience except for one minor detail: Nobody bought anything. I had good sales during the 2013 tour, so I guess I had expectations for 2014 as well. With that as a goal, my first weekend of EAST was clearly a success. 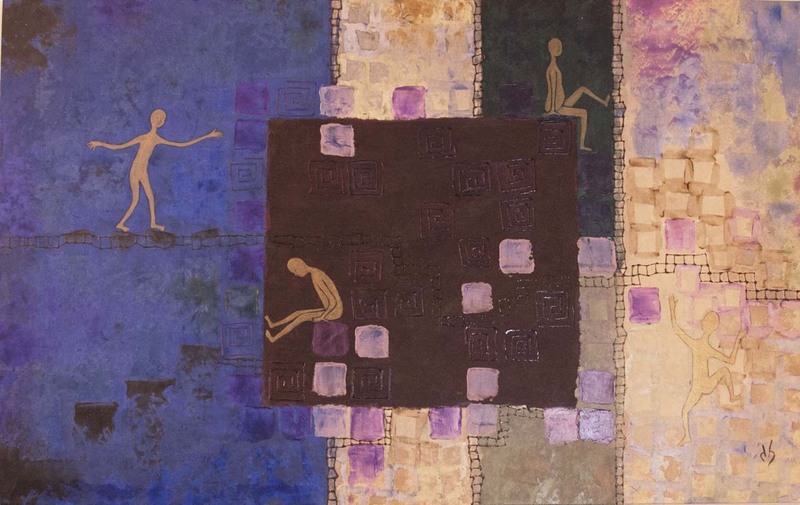 Numerous visitors were engaged enough to hang around and talk about my pieces. 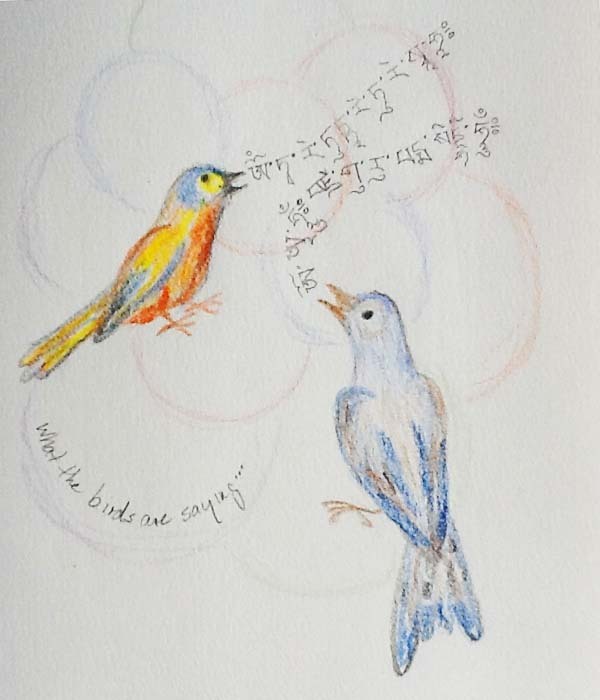 Some took the time to read the accompanying poems posted with several of the paintings, poems from my fellow writers at Austin Zen Center’s Tuesday night writing group. Maybe this weekend someone will feel engaged enough with one of my paintings to want to take it home with them. We are open at 702 Shady Lane from 11-6 both Saturday and Sunday. Artists sometimes do odd things. One of my favorite sites on my visit to Prague in winter of 2003 was the John Lennon Wall, where countless fans and tourists had posted layer after layer of tributes and expressions of devotion. It was beautiful and inspiring. Today I read the news that a group of art students had taken it upon themselves to white out the entire wall! 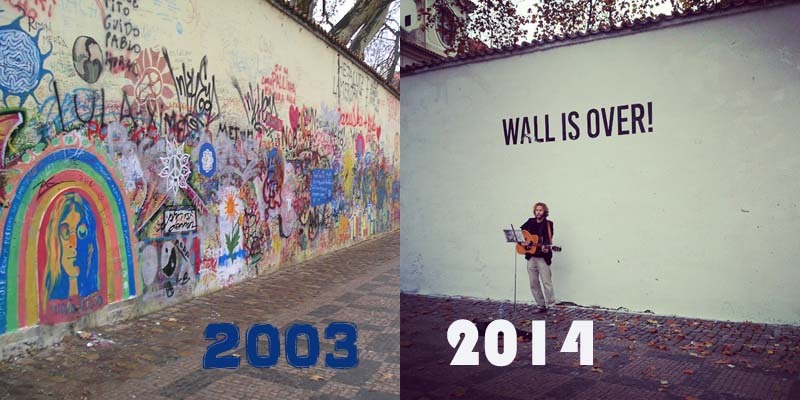 This was supposed to represent the beginning of a new era in honor of the anniversary of the “Velvet Revolution” and the inscription “Wall Is Over” was intended to be “an allusion to the subtitle of Lennon’s song ‘Happy Xmas (War Is Over)’.” However, the act of overpainting the wall inevitably evoked as well the Communist era in Czechoslovakia; during the 1980s, the Lennon wall was repeatedly painted over by Communist authorities in Prague. The very notion of “starting over” is misguided. We always work with what already exists, for better or worse. All these art students have succeeded in doing is in imposing their own idea of a massive blank canvas over hundreds and thousands of other ideas and messages, layered into a public space that was allowed to belong to everyone. The students acted in an authoritarian way that I find flies in the face of the legacy of the Velvet Revolution they sought to honor. Art is not just stuff. Art is a physical manifestation of the heart, an expression of the human spirit, a bridge linking minds across languages, transcending ideas. Images have power. Art is subversive. This little video emerged on my Facebook newsfeed this morning, only days after the announcement that a wealthy Chinese businessman had bought a painting by French Impressionist Edouard Manet for a record (for this artist) $65.1 million. China is producing some of the most voracious and deep-pocketed art collectors in the contemporary world, as well as some of the wealthiest artists. China has also produced Ai Weiwei. I have no need to hang a Manet in my own home. 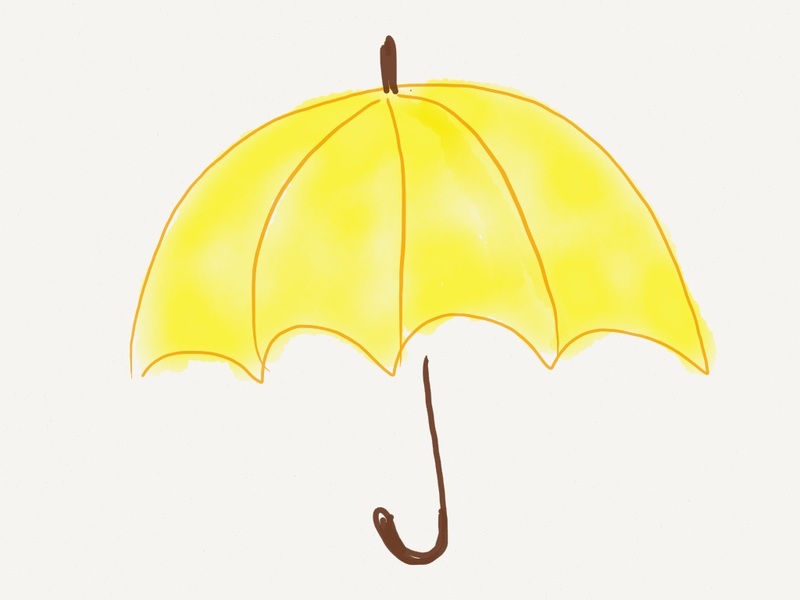 I prefer Ai Weiwei and yellow origami umbrellas. Last night I was privileged to attend a screening of Russell O. Bush’s award-winning documentary, “Vultures of Tibet,” a beautiful little movie about sacred rituals and secular appetites. 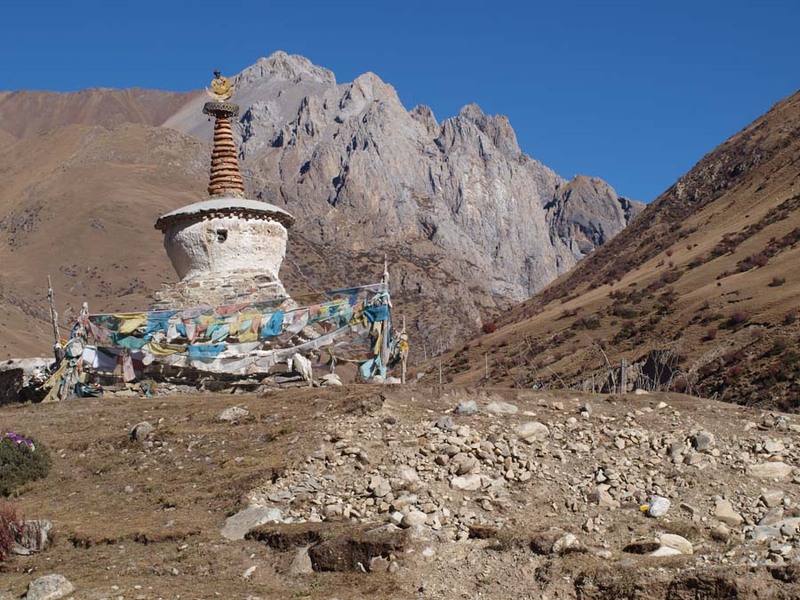 The film is about the Tibetan tradition of “sky burial,” in which the bodies left behind by deceased persons are taken to high holy places and offered to the vultures. Where we say “dust to dust”, I guess they might say “flesh to flesh.” The film was also about the intrusion of tourists – mostly Chinese, but westerners as well – into this sacred tradition and thus about people feeding their ignorance and macabre emotions with misunderstood images and actions. Bush was treading on dangerous and ambiguous ground, calling attention to these rituals in order to argue that the people who practice them ought to be left alone. He succeeded remarkably well, intimately filming hands instead of faces and even having expatriate Tibetans re-record the voices in order to fully protect the identities of the people who worked with him in Tibet. As an anthropologist, I congratulate him on his cultural sensitivity. As a Buddhist, I thank him for his sincere efforts to understand a tradition that westerners too often discount as merely bizarre. If this film comes your way, don’t miss it! 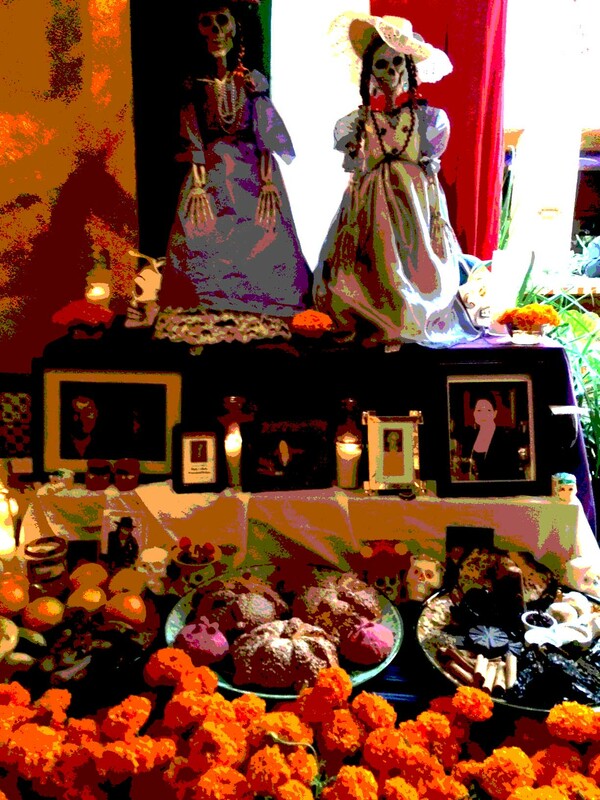 My novel, Way of the Serpent, includes a scene in which my youthful 111-year-old heroine spends the Day of the Dead in San Miguel de Allende, where she is enjoying her ninth ten-year sabbatical. It is the year 2125… I thought it would be fun to share this passage with you today! Jenda was relieved. “What holiday? What day is today anyway?” She had lost track. “It’s the first of November – el Dia de los Muertos!” Luis announced. “Well, that doesn’t sound like much fun. Dead people day?” Jenda pulled the covers back up around her chin and stared at Luis, who was laughing. She glared at him. “Sorry, mi amor. I guess it’s not a very important holiday in your culture.” He shrugged. “Not even very important in mine anymore, but some of the people still enjoy it.” And he explained that it was a day when people honored their ancestors – the deceased ones. Of course, not so long ago, almost all of one’s ancestors were deceased. “Luis!! You know I hate clowns!” Jenda moaned.